Class A & B rental truck with air brakes available. Contact Steve to schedule an appointment. Study the Idaho CDL Manual. Be prepared to take the Idaho CDL written test (Class A with Air Brakes, sections 2, 3, 5 and 6) upon arrival to school. Be proficient at shifting a manual transmission. Watch the video multiple times. The road trip portion of the test is NOT covered in the video. 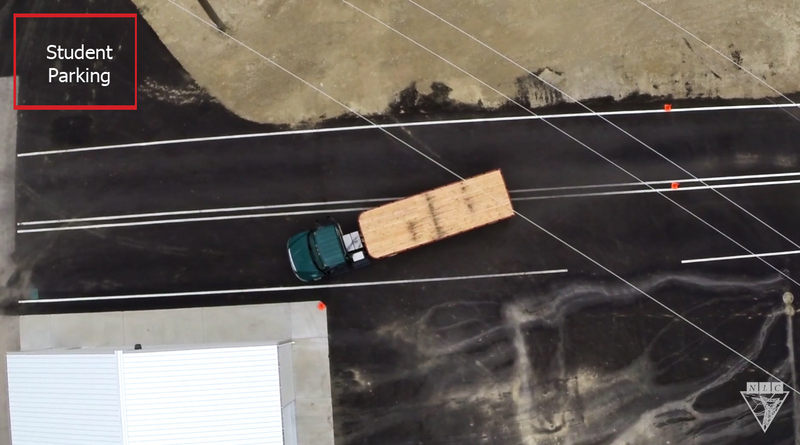 Carefully study the road test section in the Idaho CDL Manual (Section 13). Practice backing maneuvers with your private vehicle with as short a trailer as possible. Go to the DMV (see below for locations) and take the general knowledge combination air brakes written test for Class A CDL prior to the start of class -and- obtain a CLP (Commercial Learner’s Permit). Not required, but highly recommended: obtain a DOT physical (available at a reduced price through NLC: $75). Study the Idaho Class D Manual. You will be required to take the Idaho Class D written exam at the same time as the three written CDL tests. If you are 21 years or older you may obtain a permit from your current state of residence, test on that permit in Idaho, and then return to your home state to be issued your Class A CDL. You must first check with your local DMV, to ensure that they will accept the Idaho skills test results. Some states will not accept skills test results from another state. Do not enter the college buildings. Please park near the driving range.